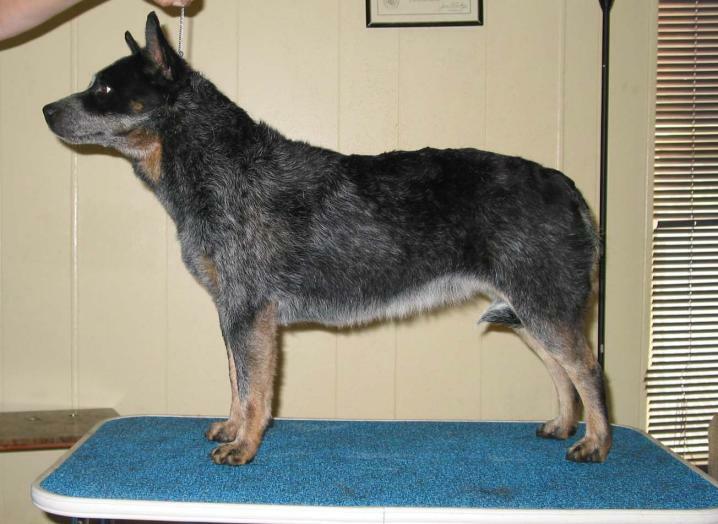 Jetta garnered 3 majors then was diagnosed with Cushings Disease and I stopped showing her before she was finished. Jetta is what you would call my soul dog, the one that takes your heart so fast and is always there for you. 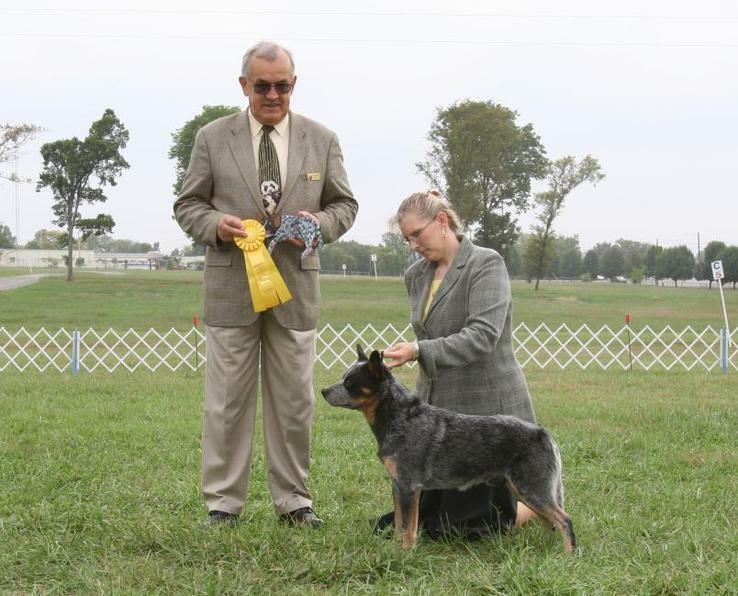 She was my first foundation girl in my breeding program. She had 19 pups total, all with full hearing and the dogs on these pages are those whose owners have put titles on. 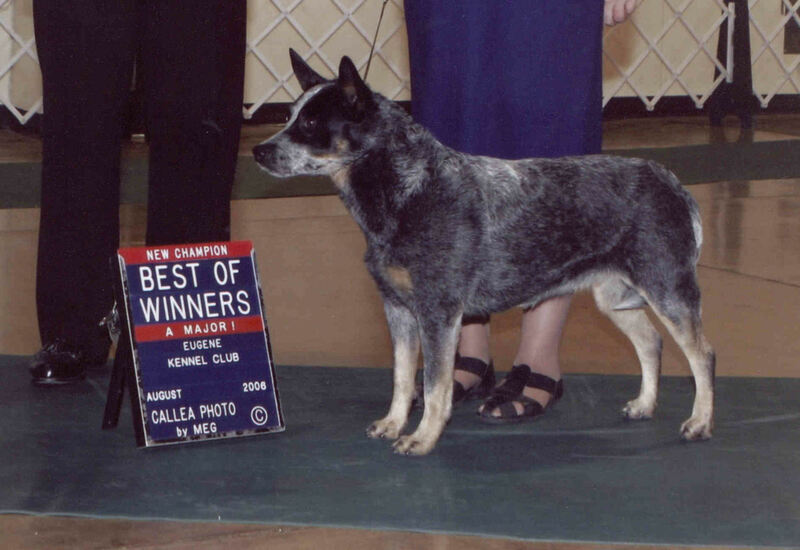 Her pups have worked cattle, won titles, and won hearts. 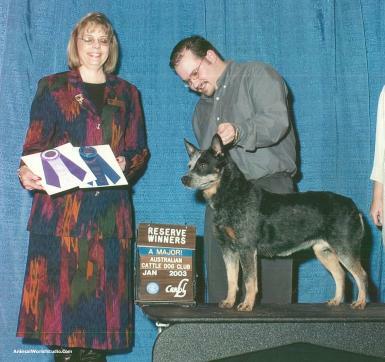 Jetta is the one that really began my love affair with not just the breed but the goals I developed as a breeder. 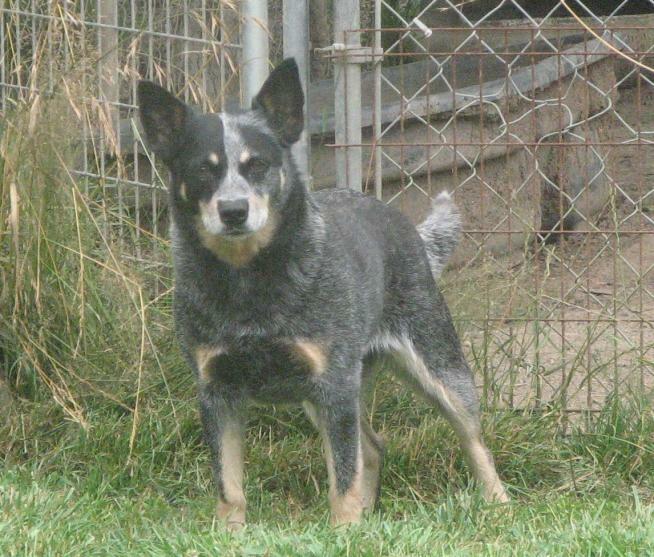 At 14 ½ she is still with me..somewhat deaf, her cataracts are causing blindness, she has Cushings and cancer. BUT she is still willing to do her dance that so drove Megan Scholz crazy when she showed her.